Reading the more or less official correspondence of a film programmer might seem dull, revolving as it must around the search for films and information, the negotiation of rental rates, and the critical evaluation of screenings and audiences. 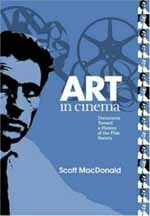 But Scott MacDonald’s Art in Cinema: Documents Toward a History of the Film Society, like his previous book on Amos Vogel’s Cinema 16, offers clear proof to the contrary. Indeed, Art in Cinema’s collection of epistolary and curatorial documents creates a captivating portrait of one of America’s earliest film societies and the San Francisco avant-garde film and art scene in the late 1940s and early ’50s. Like so much of MacDonald’s work, it is an essential contribution to American avant-garde film history. 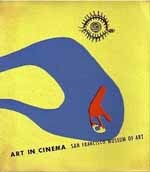 “Art in Cinema” was the name given to the first series of experimental films presented by an art museum in North America. Frank Stauffacher, an energetic and passionate young cinephile who had brought a Bolex back from his military service in the South Pacific, co-founded and then directed the series starting in the fall of 1946. 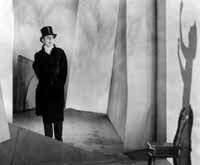 Housed in the San Francisco Museum of Modern Art, from which it received some institutional support, Stauffacher’s Art in Cinema series ran on and off for nine years, focusing primarily but not exclusively on avant-garde film. In 1955, after more than two years of illness, Stauffacher died of a brain tumor at age thirty-nine. Art in Cinema died with him. After a brief introduction, MacDonald more or less lets the documents he has selected speak for themselves. Readers familiar with his volume on Cinema 16 will find significantly fewer of MacDonald’s own interviews, largely because most of the Bay Area protagonists are no longer alive. A brief conversation with Frank’s brother, Jack Stauffacher, introduces the collection, while a surprisingly frank exchange with Frank’s wife and last collaborator, Barbara Stauffacher Solomon, appears near its end. A rare interview with artist and filmmaker Jordan Belson testifies to the importance of the screening series for local film artists. MacDonald includes only one other document extraneous to the 1946-1954 lifespan of the Art in Cinema Society, a moving 1984 tribute to Stauffacher by James Broughton. The vast majority of the book consists of letters to and from the volunteer staff of the Art in Cinema Society, interspersed with publicity material for the eleven series, program notes for a handful of individual programs, and a facsimile of the 98-page Art in Cinema catalogue (originally published in 1947 with one reprinting in 1968), intended to accompany its first season. Reading correspondence is a bit like constructing a puzzle that will never be complete. For those who delight in such tasks, MacDonald’s volume affords a number of pleasures. 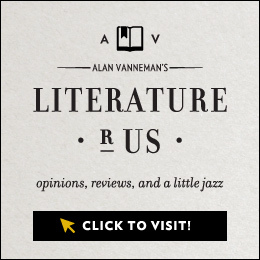 In addition to the illicit pleasure of reading texts that are always already destined for another, there is the creative pleasure of imagining the lives and true feelings that lie between the carefully crafted lines, and the intellectual pleasure of finding connections and contradictions across the various missives. Stauffacher’s (right) untimely death and the fact that this unique moment in avant-garde film history has been virtually forgotten lend a special poignancy to the book. Stauffacher’s curatorial labor, but also his personality and his passions as well as those of his interlocutors, are slowly revealed through the fragmentary documents. Indeed, Art in Cinema can and should be read like an epistolary novel, its dramas unfolding in time through a web of banal organizational details, complex human relationships, and disparate aesthetic convictions. The seasonal announcements, catalogue, and detailed program notes are the edifice around which the correspondence winds, but it is the correspondence that provides us with the flesh and blood of such an endeavor. Although Stauffacher immediately qualified his statement, others made similar claims for the series. Amos Vogel and filmmakers such as Curtis Harrington, Jordan Belson, Harry Smith, and James Broughton directly or indirectly credited Art in Cinema as having had a significant impact on experimental filmmaking in this country. Broughton, in his 1984 essay on Mother’s Day and tribute to Stauffacher (his cinematographer), claimed that the latter became “without intending it, the father of a burgeoning American art in the Bay Area” and that Art in Cinema was his “public monument, which fertilized a whole generation and brought filmmakers to San Francisco from all over the country.” (182) According to Broughton, artists such as he and Sidney Peterson would have never dedicated themselves to filmmaking had it not been for Stauffacher’s encouragement and the enormous public enthusiasm bred by the Art in Cinema screenings. Stauffacher himself emphasizes the financial support that Art in Cinema provided for filmmakers, with over thirty-five films produced as a direct result of such support. Unlike other American film societies, including Cinema 16 which began a year later in New York, the Art in Cinema series saw its mission as dedicated to screening experimental films that explored the same aesthetic and conceptual territory as other arts of the period. In its first program announcement this purpose was expressed as follows:[It] will show the relation between the film and the other art media — sculpture, painting, poetry; . . . it will stimulate interest in the film as a creative art medium in itself, requiring more of an effort of participation on the part of the audience than the Hollywood fantasies . . . ; and . . . it will give assistance to those contemporary artists who labor in obscurity in America with no distribution channels for their work. (37)Clearly it accomplished all it set out to do, and more. Screenings were always full and soon became a Bay Area social event. As Stauffacher disapprovingly put it in a letter to Hans Richter, “all one has to do is mention Art in Cinema at the museum and the crowds will gather.” (190) The catalogue produced for the first series and in-depth program notes for each screening provided a context for the films and created audiences for more work. Their inclusion in Art in Cinema allows readers today to get a sense of the discourses surrounding avant-garde film at the time, as well as Stauffacher’s own guiding vision. The 1947 catalogue, reprinted in its entirety, includes Hans Richter writing the history of the 1920s avant-garde in Europe and the relation of modern art and experimental film in the United States; Buñuel on the making of Un Chien Andalou; John and James Whitney explaining the theoretical and mechanical composition of their film exercises and their relation to the principles of Mondrian and Duchamp; Carl Pommer on the making of Dr. Caligari (above); and brief essays by Henry Miller, Elie Faure, Man Ray, Maya Deren, and others on the nature and significance of moving images. Later program notes, which were compiled and/or written by Stauffacher, also provided context or analysis for film viewers and were given out at each screening. When possible, filmmakers — like Oskar Fischinger, the Whitney brothers, Ray, Richter, Deren, Curtis Harrington, Jim Davis, Ian Hugo and his wife Anaïs Nin, and of course all the locals — were present, and several artists made films with the anticipation or commitment that they would be shown at Art in Cinema. In the nine years of the Art in Cinema Society’s correspondence, Stauffacher never lost his curiosity, dedication, and humility. He had never intended to make a career of film curating, keeping his job as a commercial artist, and never received a salary for this work. 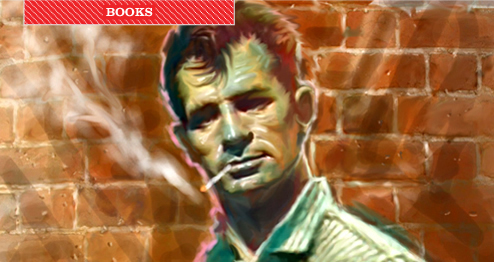 “If you have ever heard of a labor of love, this is one” (279) he wrote. Indeed, much of his early programming appears born of his desire to bring most of the experimental films he could get his hands on to San Francisco. 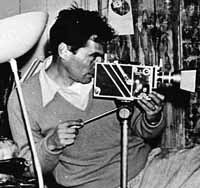 This passion and his Bolex also led him to cinematography (which he did, gratis, for many Bay Area experimental film artists) and to his own filmmaking, with Sausalito, ZigZag, and Notes on the Port of St. Francis among his better-known works. With time, frustration and ambivalence about running the series occasionally surface. Stauffacher was no blind enthusiast when it came to programming films, and there were several contemporary works he seems to have never screened, sometimes inciting the explicit ire of filmmakers who were eagerly awaiting his decision and the return of their prints. When questioned, he took the time to express his criticism in letters with great tact and sincerity. However, to those he took into his confidence he sometimes complained — as did they — of the meager quantity or mediocre quality of contemporary experimental work, and to others he lamented the thankless role of the curator, often berated by filmmakers for not being selected or for a negative reaction on the part of the audience. In his correspondence he also willingly gave and took advice from other curators; expressed his thoughts on how experimental work was best programmed; and engaged in discussions on such issues as the role of music in abstract film, the pitfalls of acting, and the possibilities of showing certain experimental pieces on television. Over the years he toyed with going into film distribution and with starting an independent institution outside of the Museum. But film and, even more so, filmmaking were his passion, and his work programming and managing Art in Cinema remained in the form of a constantly evolving gift, rather than a job. In the last years his programming sometimes branched out, with one intriguing evening on the “Joys and Miseries of the Sponsored Film.” The last two seasons, programmed while he was recovering from surgery and organized with the help of his wife, were entitled “Aspects of the American film: the Work of Fifteen Directors.” They included works by D. W. Griffith, Mack Sennett, John Ford, Cecil B. De Mille, Gene Kelly, Robert Flaherty and, with their directors in person, films by Fred Zinneman, Vincente Minnelli, Willard Van Dyke, Merian C. Cooper, and Joseph Mankiewicz, among others. For anyone interested in the history of experimental film, in film curating, or in the San Francisco art scene in the 1940s and ’50s, MacDonald’s Art in Cinema: Documents Toward a History of the Film Society is a pleasure to read, not merely as a reference book, but as an epistolary narrative, from beginning to end. Given the dearth of material on this moment of the cinematic avant-garde or on film programming as curatorial practice, it would also make an excellent primary source textbook, especially if there is a paperback edition. For those in the curatorial field, it is moving testimony to that sometimes thankless experience with all its joys and frustrations and to Stauffacher’s marvelous example in this arena. My only wish is that MacDonald had substantially lengthened his introduction to provide more background on San Francisco’s vibrant art, literary, and experimental music scene at the time and Stauffacher’s involvement in it. MacDonald’s authorial presence is light, perhaps overly so. One is left wanting to know more about the difficulties and delights of his research process, as he gives us little insight into his overarching concerns or his emotional relation to the archival material. Nevertheless, his selection and organization of documents, even if virtually un-commented, bring Stauffacher to life and movingly convey his project of making experimental film a cornerstone of the Bay Area artistic landscape. And were it not for MacDonald’s own monumental project — across eleven books — to give American avant-garde film its history, Stauffacher and the Art in Cinema series may have well been ultimately forgotten, except by a handful of Bay Area film aficionados. Irina Leimbacher is a film scholar and curator based in San Francisco. 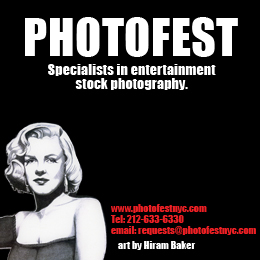 She is co-founder ofkino21 and will guest curate the 2009 Flaherty Film Seminar.